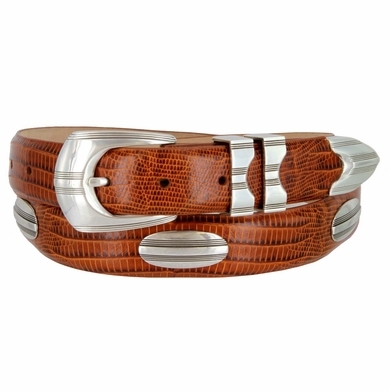 Genuine Italian calfskin belt strap, hand polished sterling silver four piece buckle set and five Conchos. 1 1/8" wide. Our belts measured from where the leather ends at the buckle end to the middle hole at the tip end.